City put pressure on Liverpool despite Fernandinho, who missed December's loss to the Eagles, being absent with an injury that may rule him out of next week's Champions League quarter-final second leg against Tottenham. 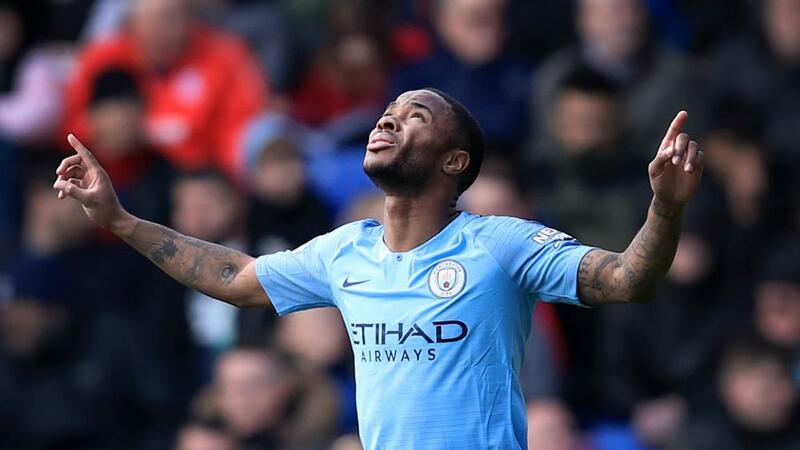 And the City boss was further frustrated as his side lost their clean sheet to Luka Milivojevic's 81st-minute free-kick, although the defending champion was still able to close out another victory at Selhurst Park thanks to Gabriel Jesus' precise finish. Palace was holding on admirably, but City unlocked the door again in the 63rd minute. Silva and Aguero combined on the left to free Sane and when he fired the ball across the box, Sterling turned it in at the back post despite a slightly scruffy contact.